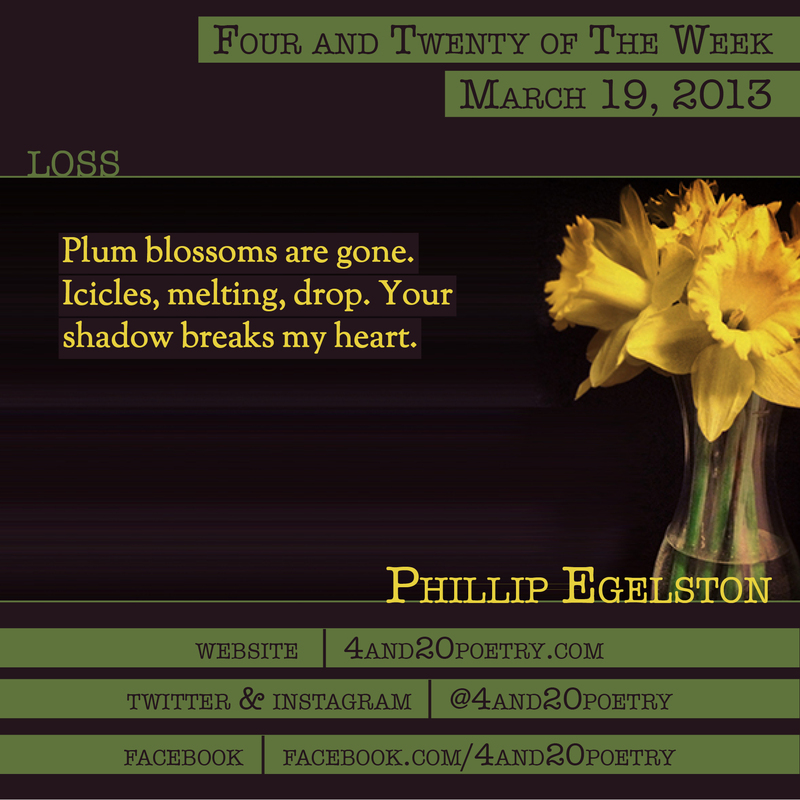 Phillip Egelston’s poetry has appeared in Folio, River Sedge, Plainsongs, The Cresset, San Pedro River Review, Paris/Atlantic, and other magazines. He is an advisor to the Shawnee Hills Arts Council in Southern Illinois. This entry was posted on Tuesday, March 19th, 2013 at 4:20 am and is filed under Four and Twenty of the Week, Micro Poetry, Poetry. You can follow any responses to this entry through the RSS 2.0 feed. Both comments and pings are currently closed.